This is a sponsored post written by me on behalf of BACARDI® Mixers for IZEA. All opinions are 100% mine. Summer time calls for sand between your toes and a cold drink in your hand. 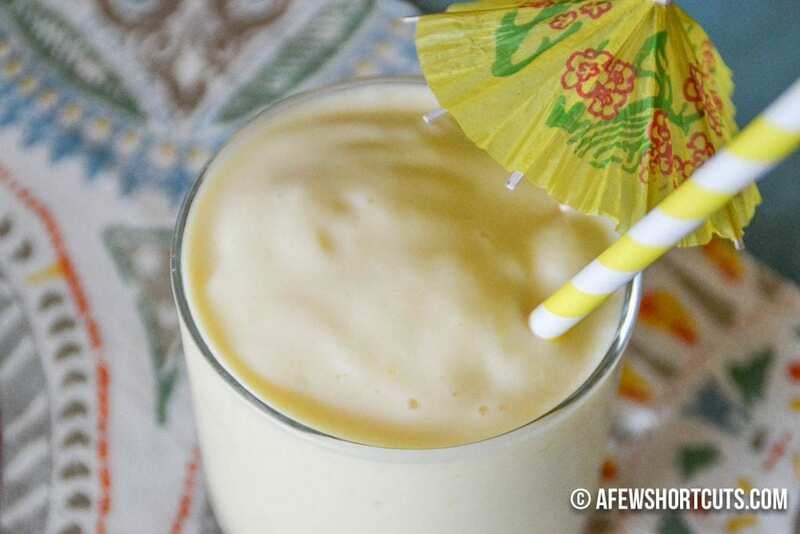 Right now I am celebrating both with this Pina Colada Whip Cocktail. We live close to the beach and are blessed to be able to have sand between our toes whenever the mood strikes. There is something that cleanses the soul and puts a smile on your face to lay back and lounge with the sun shining down on you, with a cold drink in your hand. There are days when the weather doesn’t quite co-operate with my frame of mind, and I want to channel the beach vibe. 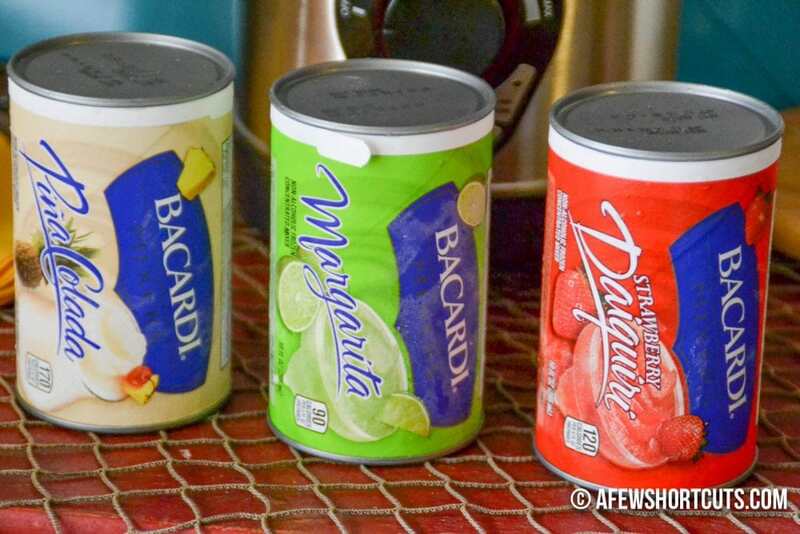 I grabbed these BACARDI® Mixers on the freezer aisle at the store this week. They are perfect for any occasion, like channeling those beach vibes. With flavors like Strawberry Daiquiri, Margarita, and Piña Colada in frozen 10 oz cans there is no reason not to keep your freezer stocked for an instant party. It’s so much easier than making your own mixers with fresh juices like the ones used in BACARDI® Mixers. They really do make it simple to whip up a special drink. Party planning just got a whole lot easier. My reason to party? I felt like celebrating my love for the beach from right here in my kitchen today. Since it is a special treat I decided to make it even more special! 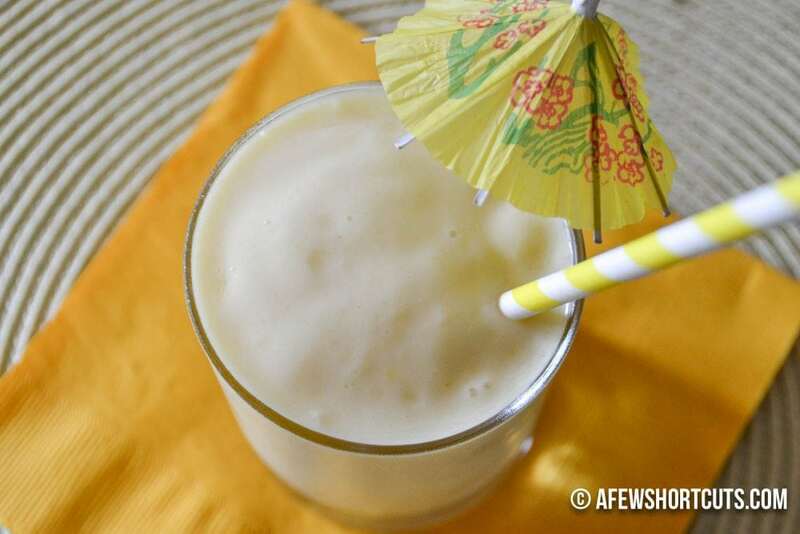 I busted out the BACARDI® Mixers Pina Colada, Coconut Rum, Frozen Pineapple, and Vanilla Ice cream. That means I have BACARDI® Mixers Margarita and BACARDI® Mixers Strawberry Daiquiri for another day. Measure 1/4 cup of BACARDI® Pina Colada Mixer & 1/4 cup BACARDI® Coconut Rum in a measuring cup. 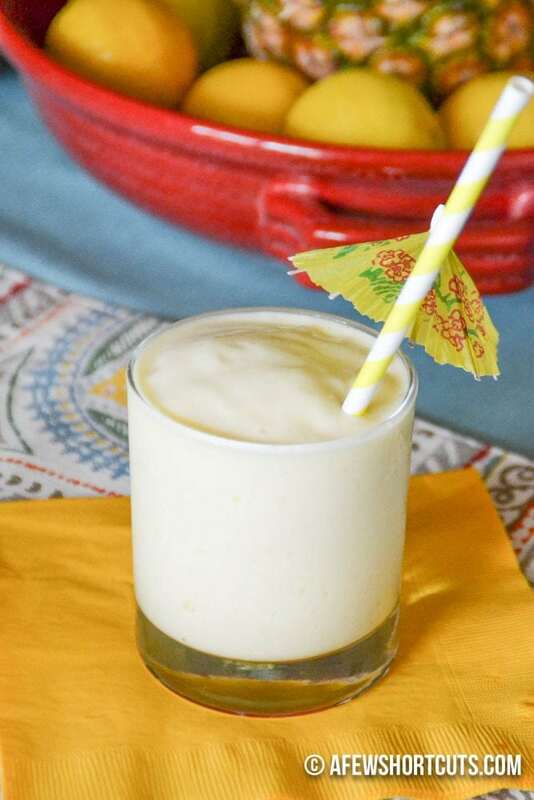 In your blender pour the mixer & BACARDI® Coconut Rum, 1 cup frozen pineapple, 1/2 cup vanilla ice cream. Place the lid on, hit that button, and let it whirl. 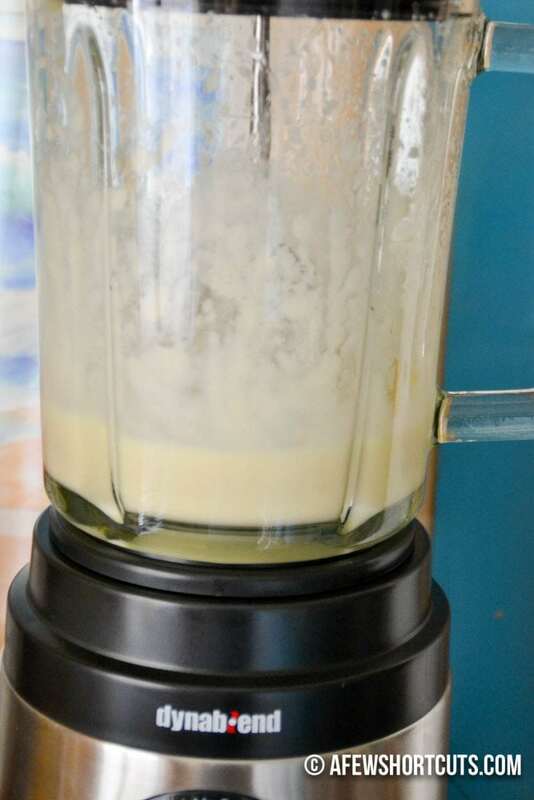 Blend until all the chunks are gone, and the drink is smooth. Pour into a glass and of course top it with a little umbrella. This tastes AMAZING! To me it almost tastes like a pineapple cheesecake in a cup. SO SO SO GOOD! 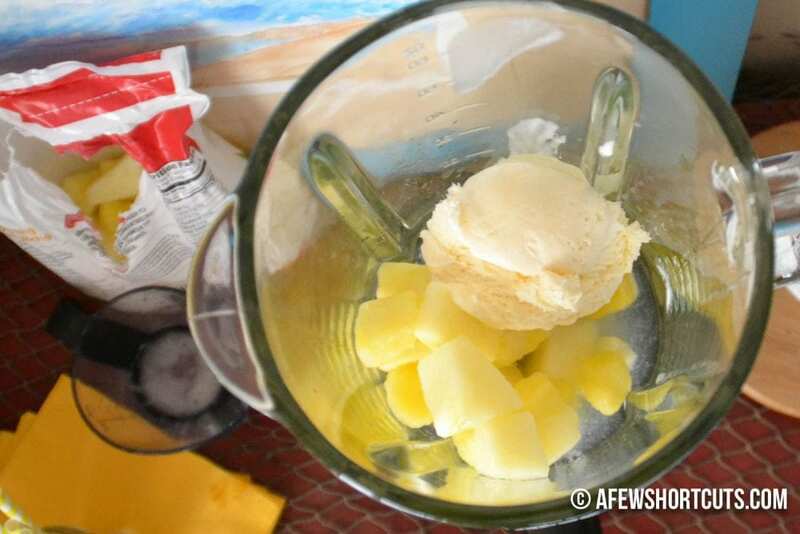 Place all of the ingredients in the blender and puree until smooth. Serve in a glass topped with an umbrella and enjoy. Sounds like a great choice for a long day, or for having a few friends over. The BACARDI® Mixers just make it so simple to whip up fancy cocktails whenever the party happens. ENJOY RESPONSIBLY. ©2014 BACARDI AND THE BAT DEVICE AND ITS TRADE DRESS ARE REGISTERED TRADEMARKS OF BACARDI & COMPANY LIMITED. RUM 40% ALC. BY VOL. ©2014 THE COCA-COLA COMPANY. NON-ALCOHOLIC MIXERS.